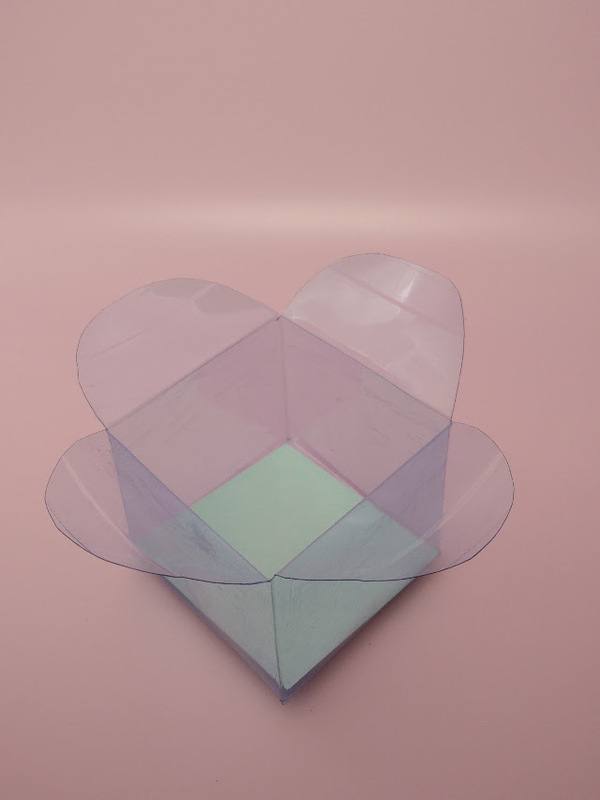 Here are 4 different ways to create boxes made with recycled plastic bottles. 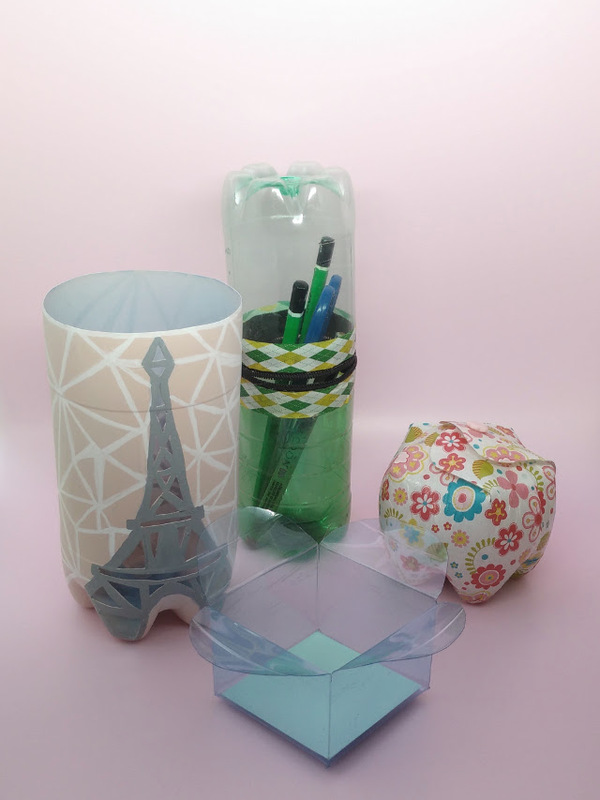 Turn your unwanted rubbish into treasures by using plastic bottles to make gift boxes, pot holders, pencil cases, candle holders and more with these different methods. 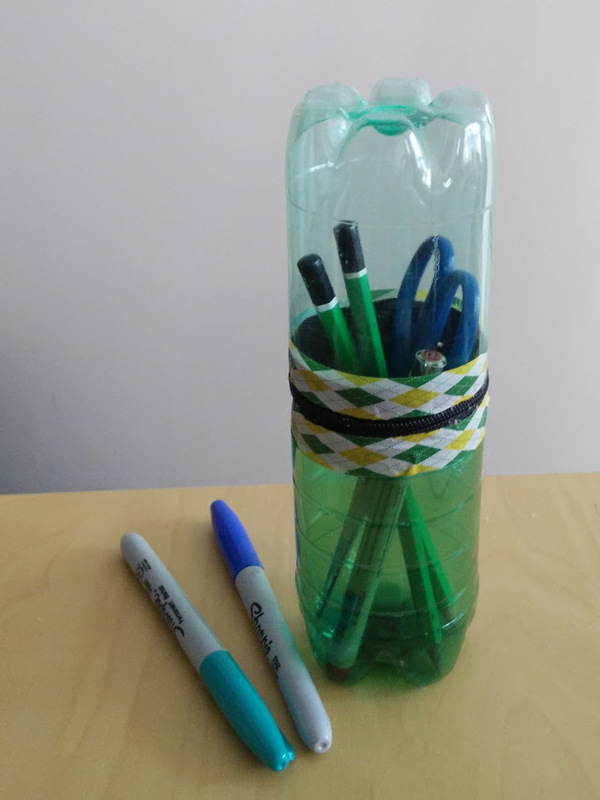 This pencil case is made using 2 recycled plastic bottles and a zip. 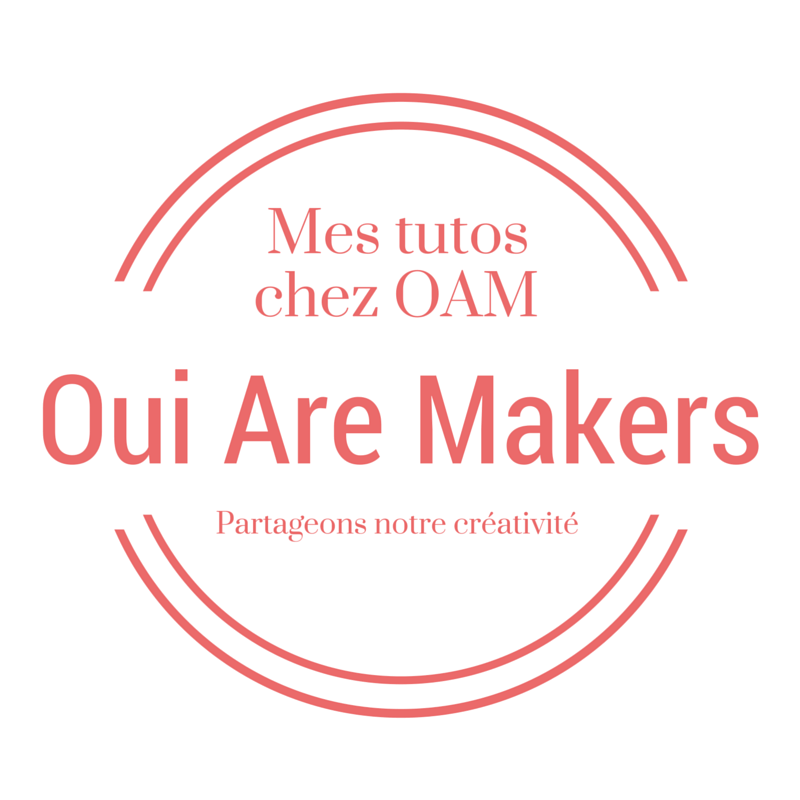 All you need to make it are two small bottles of the same diameter, a small zip and a glue gun. 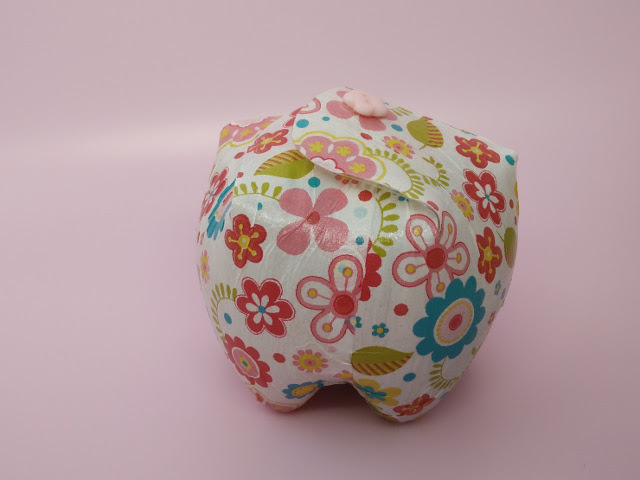 I also used some washi tape to neaten up the edges once I had finished gluing. First clean out your bottles and cut the tops off, leaving just the straight part of the bottle. Make your cut as straight as possible. 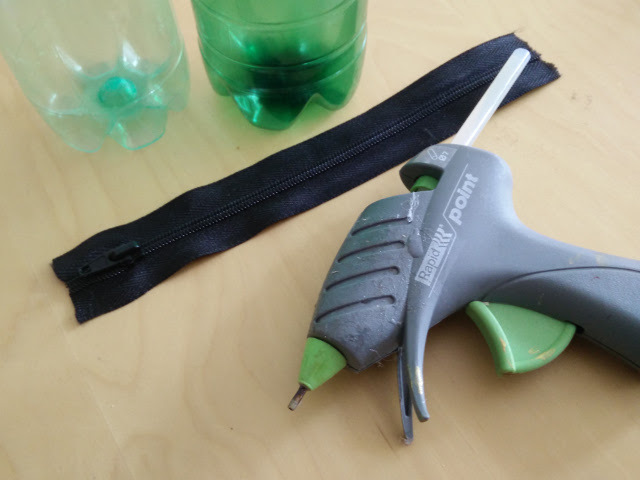 Once you have prepared the two halves, use a glue gun to glue your zip to the bottles. 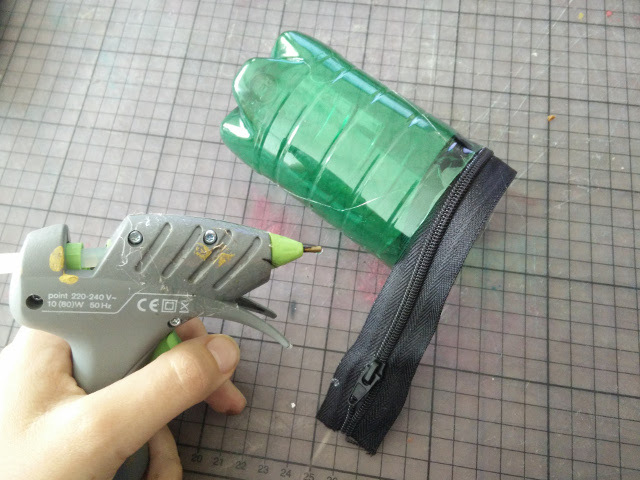 Don’t glue the zip too close to the plastic, and try to avoid using too much glue to reduce the mess, and the chance of the bottle melting and warping. I found this was a little messy, so once I finished, I stuck washi tape along the join to neaten up the edge. 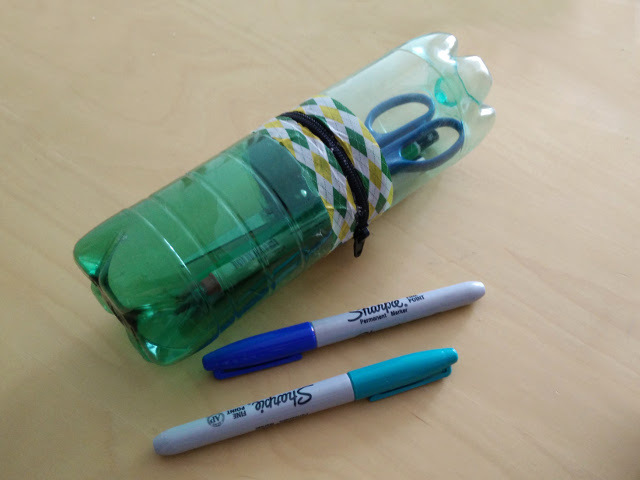 Experiment with different sized bottles to make smaller or larger zipped containers in the same way. 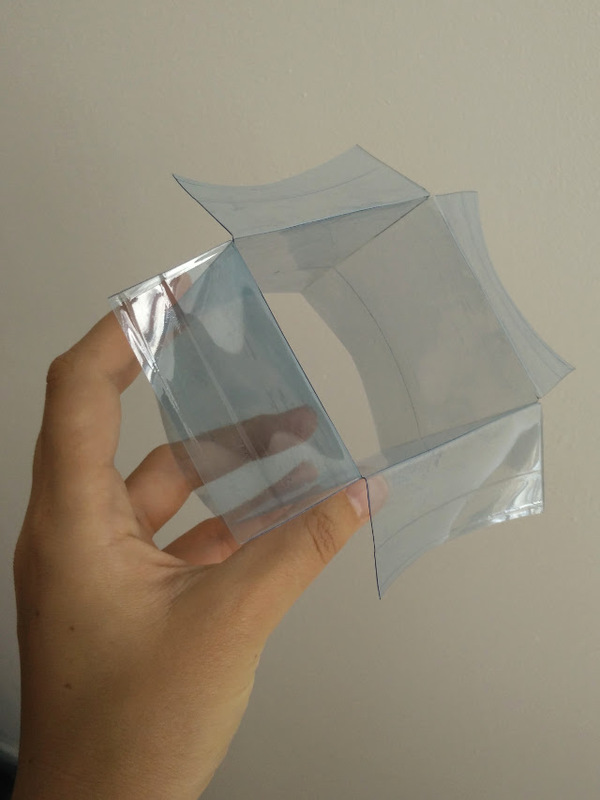 This simple box is made using the body of a straight edged plastic bottle. You can use any size bottle, but try to find one that is mostly straight. A large 2l bottle works well. 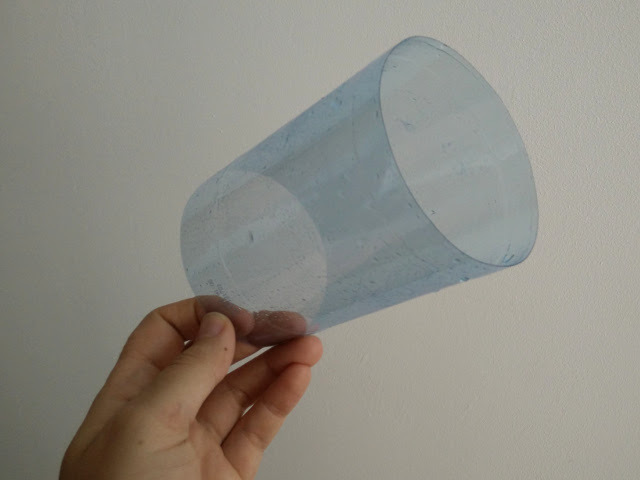 Clean the bottle and cut off the top and bottom, leaving a tube of flat plastic. Fold this down to make a flat rectangle. Unfold, and fold again exactly half way between the first fold to give your tube a square cross section. Measure the width of this square, and then divide it by 2. Use this measurement to cut slits in your plastic on the folds, on both sides of your tube. These slits make the flaps of the plastic box. Fold down the 8 flaps. And then curve off each flap. Interlace the flaps together to close the box. 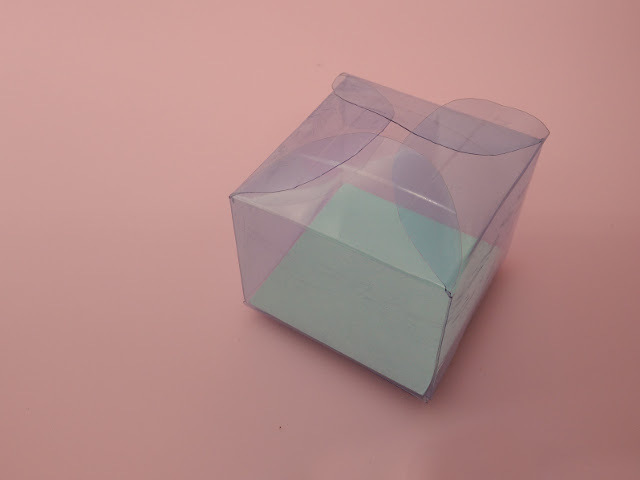 Cut a square piece of card to put in the bottom of the box to help it keep its shape. Use the boxes to store small items, or as gift boxes. Try decorating the boxes with paint, paper, or sharpies, or by finishing it off with a ribbon. 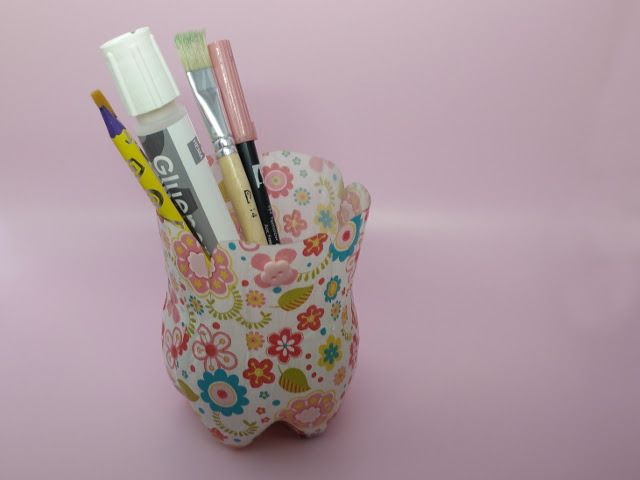 This pot can either be used open, as a pot holder or a place to put pencils or other tools, or closed as a way to stash small items. 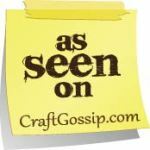 You will need one large bottle – a curved shaped Coca Cola bottle works well – décopatch paper and glue and some scissors. 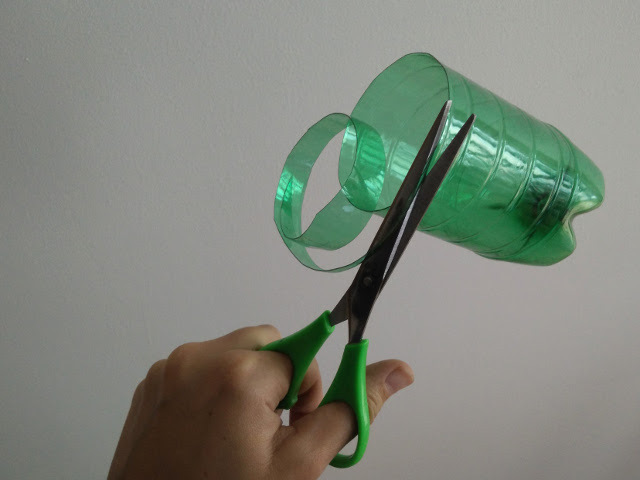 Simply cover the bottom part of the bottle with décopatch paper and glue. Once it has thoroughly dried, cut the top off the bottle and fashion four flaps that join to close the box. You can glue on a small bead or button with superglue to act as a handle to the box. 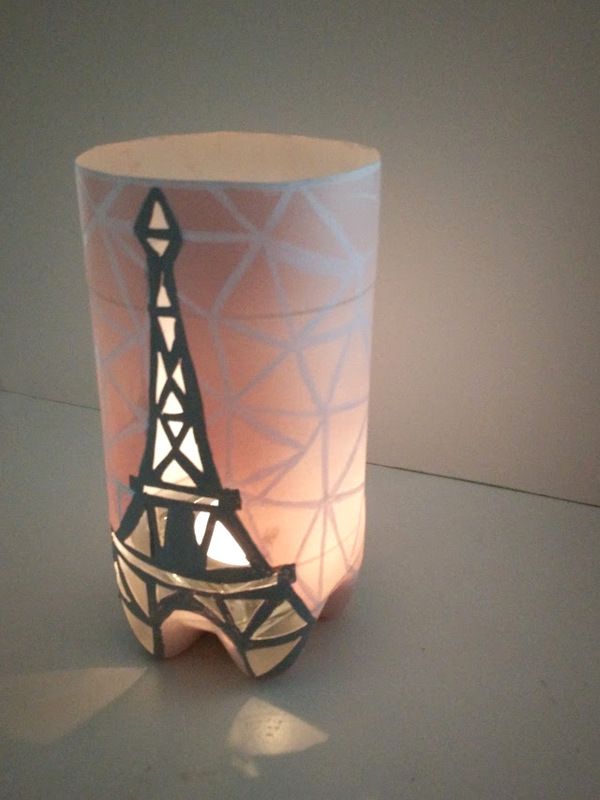 This simple nightlight is made using the bottom section of a large plastic bottle. 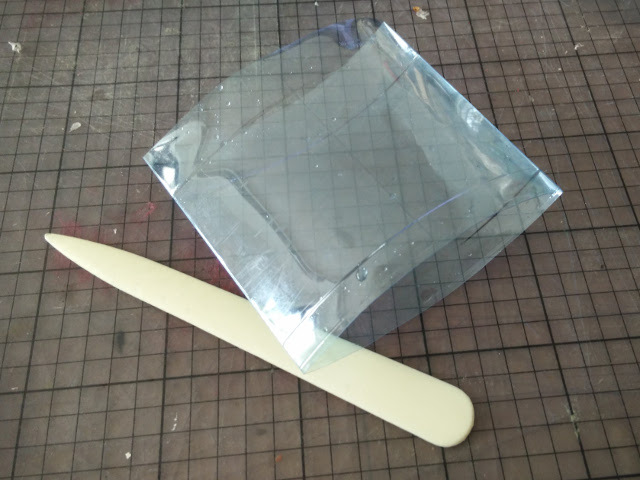 A design is cut into the plastic, before it is spray painted with an opaque paint. When a light is added inside the pot, the light shines out through the holes creating an interesting pattern. 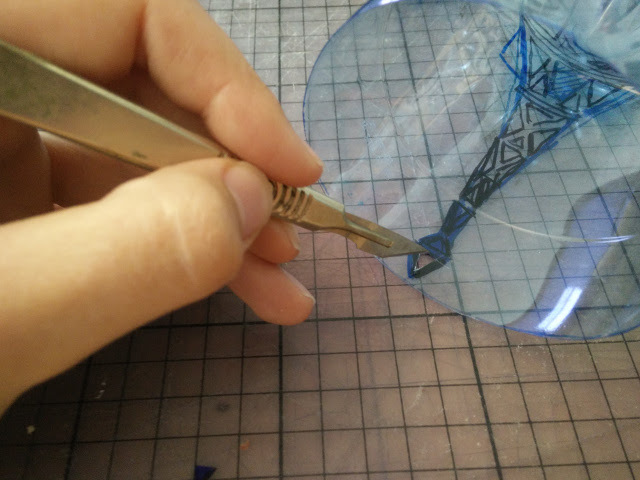 I drew my pattern using a sharpie, then cut it out using scissors and a scalpel. 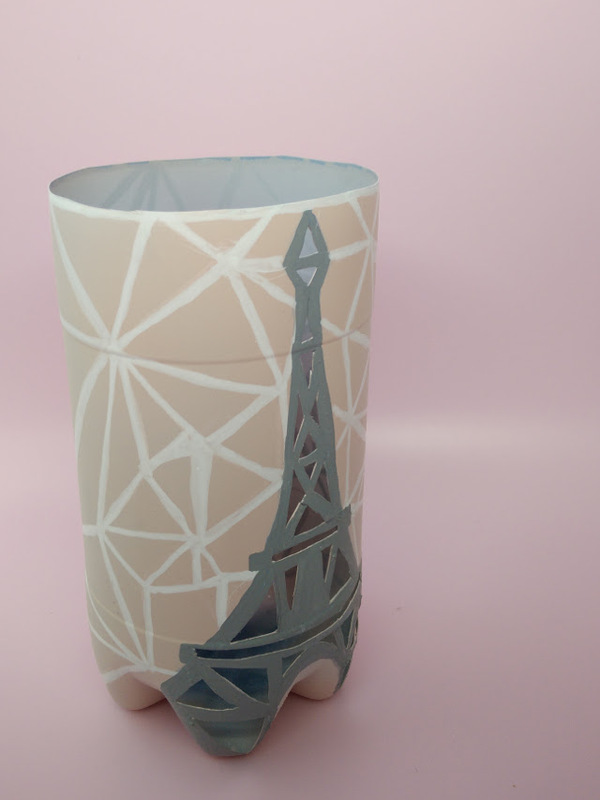 I then spray painted the pot, before adding finer details with some POSCA markers.